You never really considered how your life would be after your spouse was gone. Your family members are concerned about you, and they are dropping hints about moving into a nursing home—but you’re not sure how you’re going to pay for it. You don’t have any income (you retired years ago), and you don’t want to sell your house just to afford long-term care. Is there any way to pay for nursing home care without selling off all of your property and spending your life savings? If you are a veteran, veteran’s spouse, or veteran’s widow or widower, you may be able to access veterans’ Aid and Attendance benefits to help you pay for care in a Florida nursing home. Veterans’ Aid is a benefit extended to former military service members and their spouses whose medical costs exceed their income. If you qualify, you may be entitled to hundreds of dollars in pension payments every month, helping you pay for high-quality care without placing a financial burden on your family. 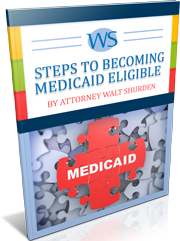 At Walt Shurden Elder Law, we help elderly Florida residents manage their estates to maximize their benefit payments. We can help you determine whether or not you meet the three necessary qualifications for veterans’ Aid benefits: length of service, medical requirements, and financial need. You or your spouse must have served in one of the branches of the U.S. armed forces, Reserves, or National Guard. You or your spouse must have been discharged under a condition other than dishonorable to receive benefits. You or your spouse must have served at least 90 days of continuous active duty before 1980, or at least 24 months of active duty after 1980 with one or more days of that service during wartime. The financial requirement is the most difficult aspect of maintaining eligibility for veterans’ Aid. If your total assets and income (your net worth) is less than the cost of your nursing home care, you will likely be approved for benefits. However, the monthly Aid and Attendance pension benefit amount will be reduced in proportion to your income. Finally, if your net worth is over a certain amount (in most cases, $80,000 per couple), you will likely be denied veterans’ Aid benefits. Be wary of businesses that offer to help with veterans’ Aid and Attendance benefits. If they are not legally qualified, they may not consider other kinds of benefits you may be eligible for, costing you more in the future. One example of this is a business that offers to set up a veteran’s trust to help you meet the VA asset limitation. While creating a trust can get you the VA benefits you need, it can also disqualify you for Medicaid benefits that you or your spouse may need to pay for nursing home care. An elder law attorney can show you all of your benefit options at once, advise you on how to structure your estate to get maximum benefits, and ensure that your family and loved ones will be provided for. 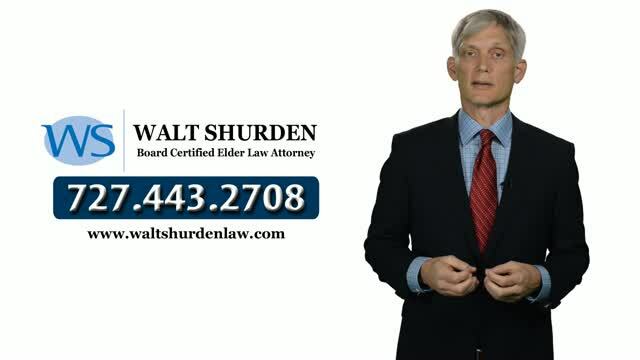 At Walt Shurden Elder Law, we explain all of your options free of charge in your initial consultation, helping you to make the decisions that are right for you. To get started, call our Clearwater office at 877-241-1230 or email us at to have our staff contact you.